Safe Routes Berks is a new program that introduces walking and cycling as fun, healthy, and environmentally friendly activities for children ages 5-13. This professional development training is comprised of a 6 hour tutorial on pedestrian skills and safety lessons – including getting on and off of a school bus safely. Berks County teachers, public or private, who complete the training receive full access to the online resources and print materials, including teacher’s guide, activity books for students, and educational videos. Teachers will be given creative lessons and activities to fill existing curriculum -- as everything provided is aligned to state standards both for PE/health related lessons, and cross-curricular lessons. In addition to walking for health skills and safety lessons, teachers will be provided materials for their students to learn to view their feet as good means of recreation, exercise and transportation. Bring your walking shoes- - this is an active workshop! · Click on the “Quick Links” drop down box toward the top of the main page. · Choose “MyLearningPlan” from the list. · Select Step 1: “Click here to view course catalog”. · Choose “title of event” session by clicking on the course title for course description and enrollment information. · Select “Click to Enroll” and then choose the link that applies to you. Example, “I’m a new user”. · Enter your information as instructed. 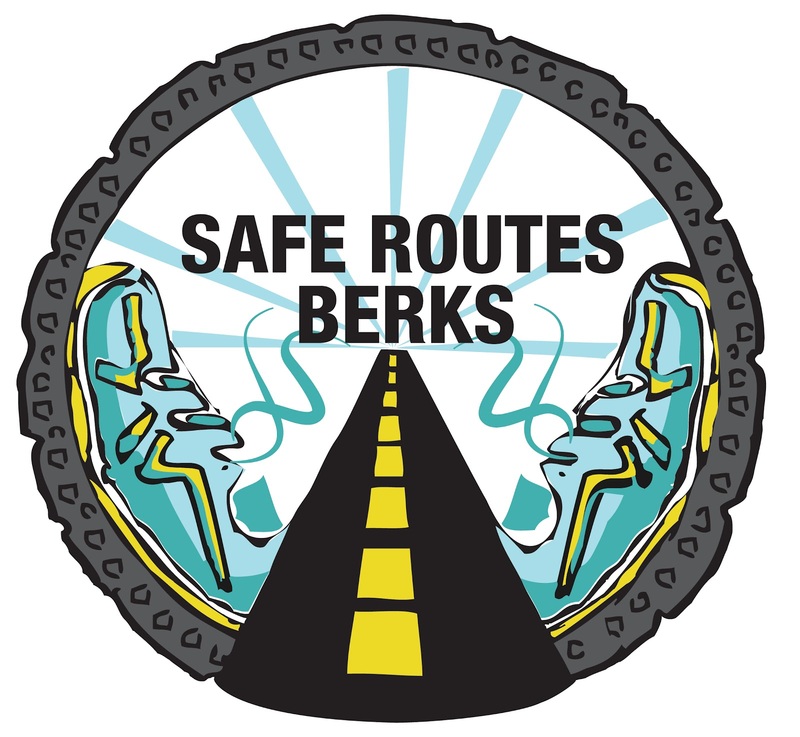 The Safe Routes Berks educational program is funded in part through a Transportation Enhancement grant from the Federal Highway Administration - U.S. Department of Transportation, through the Pennsylvania Department of Transportation and the Reading Area Transportation Study. We are pleased to present the new look (and name) of our WBB monthly newsletter. Click here for the February 2012 issue of Connections. Bring your walking shoes -- this is an active workshop. Substitute Teacher Costs provided to your district. 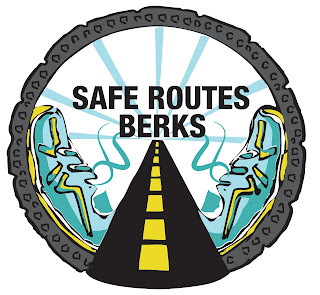 An extension of the PA Safe Routes to School education and encouragement program, Safe Routes Berks is a new program of Walk Bike Berks that introduces walking and cycling as fun, healthy, and environmentally friendly activities for children ages 5-13. In addition to walking, bicycling, and school bus safety lessons, teachers will be provided materials for their students to learn to view the bicycle and their feet as good means of recreation, exercise and transportation. Encouraging students to bicycle and walk more addresses issues of active living, obesity and diabetes, and environmental health. School District Employees – Safe Routes Berks’s train-the-teacher program educates elementary and middle school teachers and staff, providing in-service and professional development trainings at the Berks County Intermediate Unit. These Professional Development trainings comprise of a 6 hour tutorial on pedestrian, bicycle and school bus safety lessons. Berks County teachers, public or private, who complete the training receive full access to the online resources and print materials, including teacher’s guide, activity books for students, educational videos, and 12 Act 48 credits. To begin, please visit the website listed below and follow the step-by-step instructions that will display on the screen. Steps are also listed below for your reference. We hope that you will find this online registration system user-friendly. 3. Scroll down to Step One and click on the link"click here to view course catalog"
7. Click on "click to enroll"
· I’m a registered user – select this option if you have already created a personal account in My Learning Plan (MLP). · I’m a new user – select this option if you do not have an account. By completing this you are establishing an account with a user-name and password in a secure location for future reference. You can update or change any of this information as needed. For technical support on using the online registration system, please contact Heidi Gamler 610-987-8548. Register by Wednesday, February 8.